Patrick ‘PW’ Farrell is a solo artist, session musician, producer, composer, author and teacher. 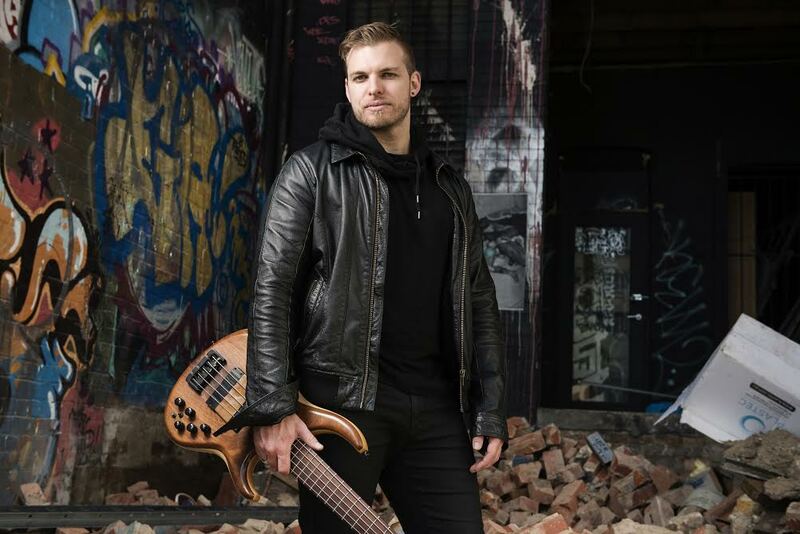 He is a graduate of both the Queensland Conservatorium of Music (Bachelor of Music – Jazz Performance) and the Victorian College of the Arts (Graduate Diploma of Performance). He has toured internationally with artists such as Jetty Road (‘Golden Guitar’ winning Australian country music act), appeared on television with the likes of Jessica Mauboy (Australian Idol) and worked in theatres, clubs, ships, hotels, cafes, bars and concert halls the world over. In 2011 he released his critically acclaimed debut album 'The Life Electric' (available on iTunes) which he composed, produced and marketed independently. 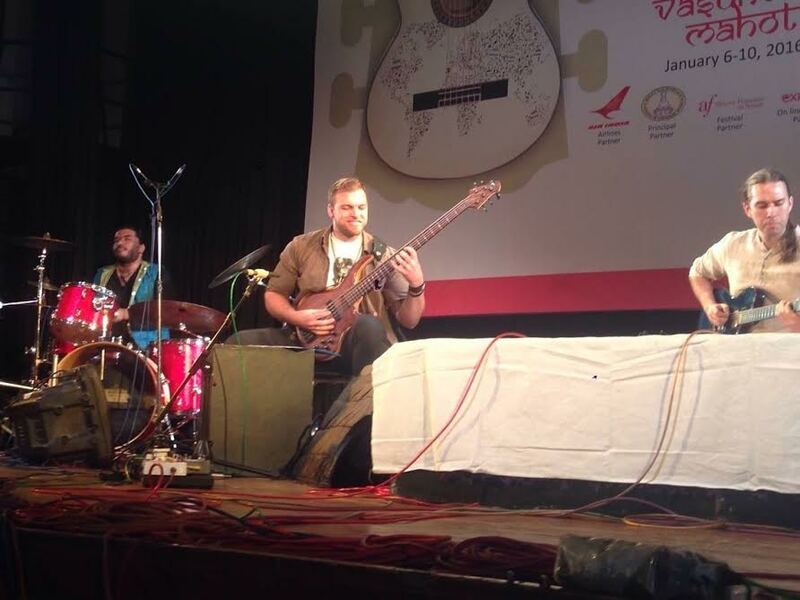 Recently, Patrick performed at the Indian International Guitar Festival (IIGF) 2016. The Grammy Nominee from Kolkata Pandit Debashish Bhattacharya started this celebration of music last year dedicating to his guru Indian classical guitar pioneer Pt. Brij Bhushan Kabra. Abhijit Ganguly spoke to Patrick about his musical journey and kolkata experience. Tell us about your formative years in music. What made you take up the guitar in the first place? My first instrument was piano, which I began at age 5. I was a terrible student, more interested in making up my own songs and melodies rather than practice what I was given. I was very interested in sports when I was young, so my next instrument was the drum kit…. I think I was attracted to the physicality of it. I asked to begin guitar lessons at school because I thought it was a “cool” instrument, but a clever teacher explained to me that bass guitar is like the link between drums and piano, so I started learning bass and never looked back! My first real inspiration for the instrument was my bass teacher, or guru, in high school, Anthony Dawkins. He was not just an inspiration for the instrument, but also philosophically, Anthony was a real role model for me, even though he might be surprised to hear that! He was so dedicated to the art of whatever he set his mind to, and seemed to be able to relate the lessons learned in any craft to rest of life and how it should be lived. Musically, my first bass influences were popular acid jazz bands of the 90s, like Jamiroquai, Brand New Heavies and D.I.G. (Australian band). Then I discovered 80s and 70s Funk such as Brothers Johnson, Parliament Funkadelic and The GAP Band. I would listen to this music all day (headphones in class) but interestingly, I would often jam along to it and often solo over the top on bass, I was still in love with making things up! Anthony then introduced me to Miles Davis and Weather Report, which is how I discovered Jazz and Jazz Fusion. Jazz Fusion music really felt like home to me because it was a combination of the Funk rhythms I liked and the harmony I liked in Jazz. Players which influenced me from this time on being people like Jaco Pastorious, Gary Willis, Neil Jason, Matt Garrison, Stanley Clarke, T. M. Stevens, Kai Eckhardt etc. More recently I’ve really been inspired by Hadrien Feraud, Janek Gwizdala and Evan Marien. I’ve always also studied strictly ‘groove players’ like Neil Stubenhaus and Will Lee because I believe a bass player’s most important skill is to be able to groove. How have your approaches to practicing guitar evolved over the years? When you started out playing guitar, what did you focus on them and how has your focus changed between then and now? When I was younger, I was a sportsman (rugby) and I practiced my instrument the same way I trained. I divided the art of playing into key areas (time, ear training, sight reading, technique) and would divide my practice time into these key areas. As I developed I would change these key areas to things like ‘transcription’ and ‘repertoire’ etc. I call this the ‘partitioned practice method’. When I went to university (at the Queensland Conservatorium of Music) I quickly realized that there were many very gifted young musicians and that if I wanted to have a chance I would have to practice much more consistently so I began a strict regimen of practicing 6 hours a day when I had no gigs on and 4 hours a day if there was a gig. By setting a stopwatch I was able to keep myself honest. As I’ve gotten older I’ve now turned to practice music as a whole as I’m usually needing to learn repertoire or develop my own material. It is only when I discover something very specific that I need to work on that I partition my practice. I recently began lessons on Indian rhythmic concepts so I am giving that topic its own practice time. Do you believe in the phenomenon of natural talent? If not, what do you think is the single most important attribute that one needs to have to become a great guitarist? I take issue with the word talent because it deifies the quick learner and absolves the poor teacher. People who are seemingly ‘born with it’ are not born with anything more than a very sharp mind and an ability to absorb and understand sound. That is a beautiful thing and I do feel that these people have a gift. But elevating the young prodigy to god like status, while understandable, does little to illuminate how it is that that young person could absorb and understand codified sound so quickly. In other words, we should study HOW it is that the learning pathways can be so open with some people rather than just saying ‘well they’re just gifted’, despite how tempting it may be to do so. Furthermore, music is a multifaceted thing. The relationship between instrumentalist and their instrument adds a dimension that can transcend other useful skills like ‘perfect pitch’ and advanced ‘musical memory’. And finally musical performance is the interface of performer and listener, whereby more intangibles are involved than just the skill set of the musician. I’ve always said ‘people play their personality’. The decisions people make in improvised music (when to step forward musically or back, when to dig in, what direction they choose musically) is ultimately a reflection of their personality. In other words, if the world’s most advanced savant is no fun to hang around, they’re probably no fun to listen to either, once you’ve stopped marvelling at their skill. So what do I believe is the most important attribute one needs to be a great guitarist (bass guitarist)? A deep, genuine love of music. From that comes dedication and from that comes progress. What was your first reaction when you were approached to play in Kolkata? Tell us one unique experience that you've had in Kolkata? I had actually just asked the universe to deliver me a new opportunity, something I could learn from and be inspired by. Something I have wanted to work on in my playing is improvising with more rhythmic conviction in odd time signatures and then my phone rings and this Bart Stenhouse guy tells me he is looking for a bass player to play at the India International Guitar Festival! For me the entire experience of Kolkata was profound. It helped put many things in perspective for me. I visited the Mother Teresa House and Kalighat Temple, two deeply moving experiences, and made beautiful friends while in India. The highlight of my trip was attending an open air Indian Classical Music concert. Seeing the audience applauds a well executed Tihai in a slow 7 beat cycle was a real ‘eye opener’ to just how well respected music is in this culture vs my own. Music is not held in such high regard in Australian society as it is in India. Sophisticated instrumental music is a particularly hard sell due to a lack of musical education and understanding in the listening public and a wealth of other less intellectually engaging distractions of which music is considered to be one option. What advice would you give to budding bassists on learning the art of playing bass and perfecting it? First of all, many of the answers you seek are in the recordings. I was lucky enough to grow up in the age of hard copy albums, before the iTunes era. I used to buy an album, take it home and listen from cover to cover while reading the liner notes. Then when I heard a musician, I particularly liked I would research them and buy the albums they played on. In this way I cultivated a little musical world of sounds I loved. In this day and age of streaming music online I imagine it would be hard to narrow your listening field in this way, but that is my advice: find a musician you love and explore their music, transcribe etc. before moving on. Next bit of advice is practice, practice, practice! Give us a sneak peek into your future projects? Well, my debut album (which is available at www.pwfarrell.com) is now 4 years old and I feel that I’ve now got more to say. I am collaborating with my good friend and musical colleague Nick Hatch (Oslo based drummer and producer) on my follow up album. I can’t wait to get started! Tomorrow I head off to L.A. to have some down time at the NAMM show and meet up with the builder of my bass guitar, Michael Tobias (of MTD Guitars) and I’m looking forward to seeing what future instruments they have planned! Bart Stenhouse (who I travelled to India with) is already booking in tours for 2016/17 and I also have a tour coming up with amazing Australian Jazz Fusion pianist Cleon Barraclough as well as some shows with Australian Soul/Blues legend Lachy Doley which I’m really, very excited about! The rest of my diary at this moment is a steady grind of sideman gigs about town to pay the bills and I love it! Music is the most beautiful gift!